What happened? 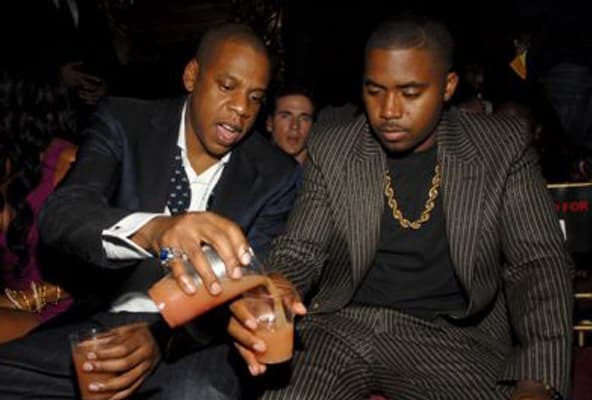 You know the story: Jay-Z and Nas had a quietly kept beef for years that finally exploded into an all-out war in 2001 when Jay dropped "Takeover" and Nas responded with "Ether." A few days after "Ether," Jay dropped his "Super Ugly Freestyle," on which he alleged: "I came in ya Bentley backseat/Skeeted in Jeep, left condoms in tha baby seat." Jay obviously went too far because his mom made him go and apologize on Hot 97 a short while later. And that's so LAAAAME!